Alice Merryweather did some downhill training last week in Germany. 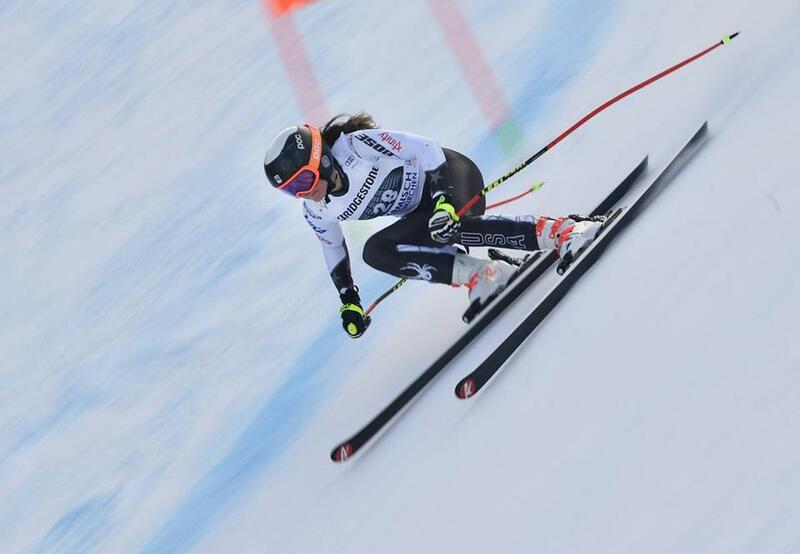 Hingham’s Alice Merryweather and Topsfield’s Brian McLaughlin are among 13 athletes named to the US team for the Alpine World Championships, which start next Tuesday in Are, Sweden. Merryweather, 22, won gold in the downhill at the World Junior Championships in 2017 and was named to the 2018 US Olympic team. A member of the Class of 2021 at Dartmouth College, she will team up with five other skiers to form the women’s team, including Olympic gold medalists Mikaela Shiffrin and Lindsey Vonn. McLaughlin, 25, is making his first appearance on the World Championships stage. Before graduating from Dartmouth in 2018, he earned three All-America selections and led the Big Green to a men’s Alpine NCAA title while winning the giant slalom in 2018. Shortly after the NCAA season, McLaughlin clinched the North American Cup giant slalom title in Kimberley, British Columbia, earning a spot on the World Cup circuit. McLaughlin is joined by six skiers on the men’s team, including two-time Olympic gold medalist Ted Ligety and Bryce Bennett, who is ranked seventh in the World Cup downhill standings.